Personalized Cards . 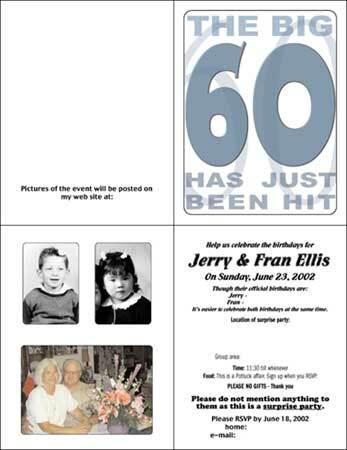 . .
We can layout Party Invitations with a personal touch. Your pictures can be put on these cards. You can then have them printed professionally or from your color priner or at Kinko's.